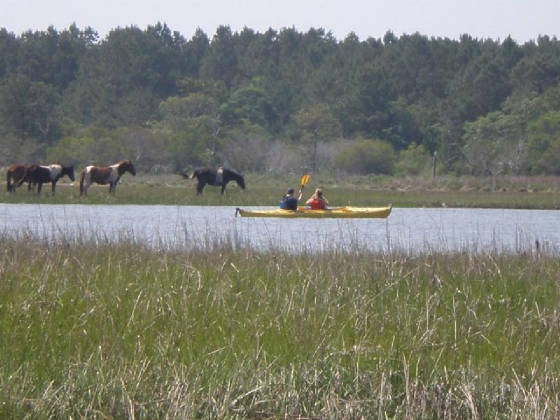 Snug Harbor offers the best kayak eco tours along Chincoteague and Assateague Islands.. Snug Harbor will take you to remote areas of the National refuge for ponywatching or birdwatching. 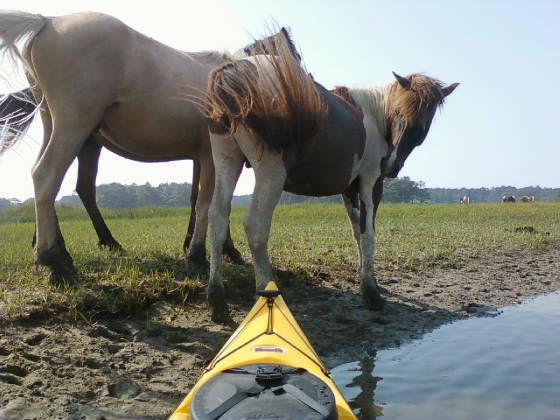 Snug Harbor eco tours will get you up close and personal with the wild Chincoteague ponies and all the wildlife Assateague Island has to offer. Just call us at 757-336-6176 and ask for the daily tour times and prices or you can click on the picture below to book online! Come and see the wild ponies with us! 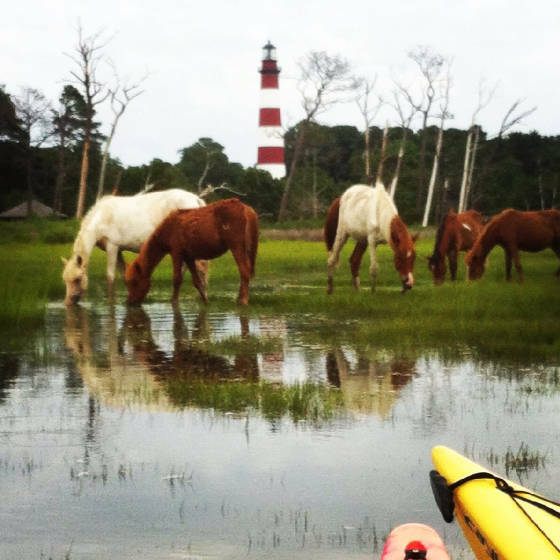 Snug Harbor tour taking off in the early morning to find some wild ponies along Assateague Island. 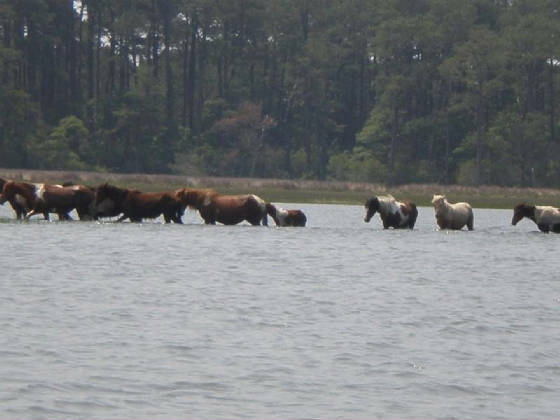 The Assateague Eco tour is great for exploring the islands and finding the wild Chincoteague ponies. 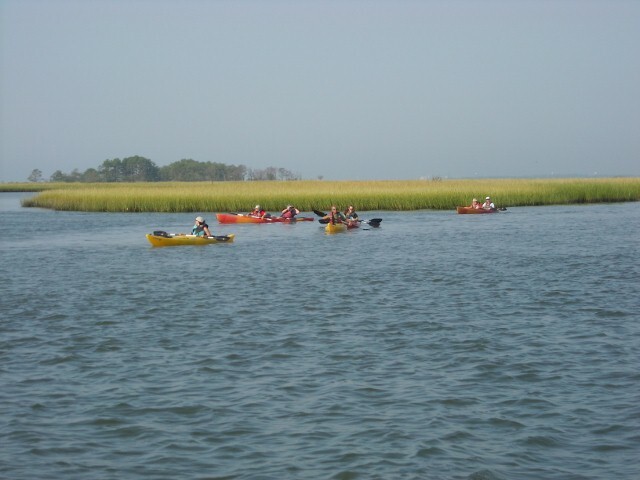 Snug Harbor Marina on Chincoteague island is the biggest and highly recognized kayak outfitter in the Assateague area offering premium kayak rentals as well as daily Kayak Eco Tours throughout Chincoteague and Assateague waterways. 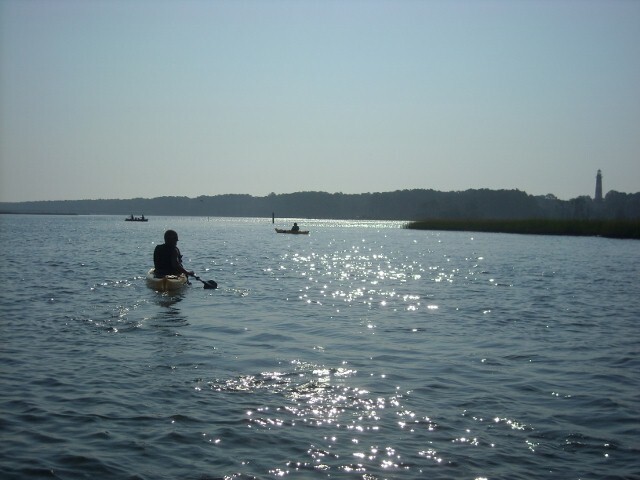 Our Kayak Rentals and Kayak Eco Tours take off from Snug Harbor Marina which is located conveniently right across the channel from Assateague Island and the Refuge. We will provide you life vests, paddles and a water map and you would be all ready to go for an exciting adventure with nature. Snug Harbor has a private kayak ramp for easy access to the water. 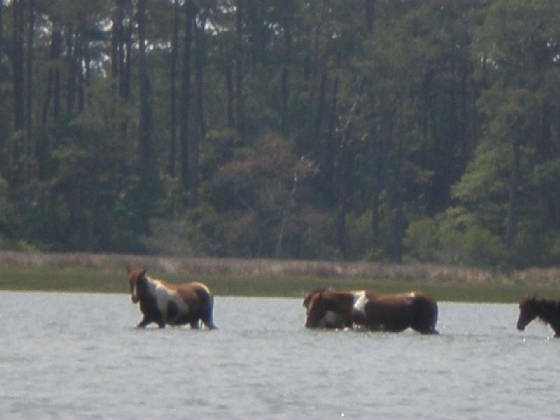 In a matter of minutes you could see the world famous wild Chincoteague ponies feeding on the marsh. You wouldn't believe how close to them you can get. It's definitely an unforgettable experience. Especially for kids...they always absolutely love it. 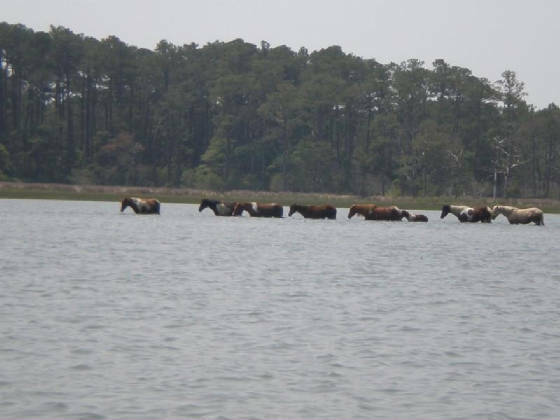 Besides the ponies you can also see bald eagles, egrets, hawks, ospreys and all kinds of wild rare birds nesting around. We could give you suggestions where to go, where are the best spots to explore and how to follow the channels. It's nothing complicated, you can do it! Just call Snug Harbor 757-336-6176. Kayaking is also great for couples who like to spend some quality, romantic and relaxing time being surrounded by nothing but each other and nature. We can show you how to get to a private secluded beach where you can enjoy the piece and quiet of the islands. Come on a grand adventure today. 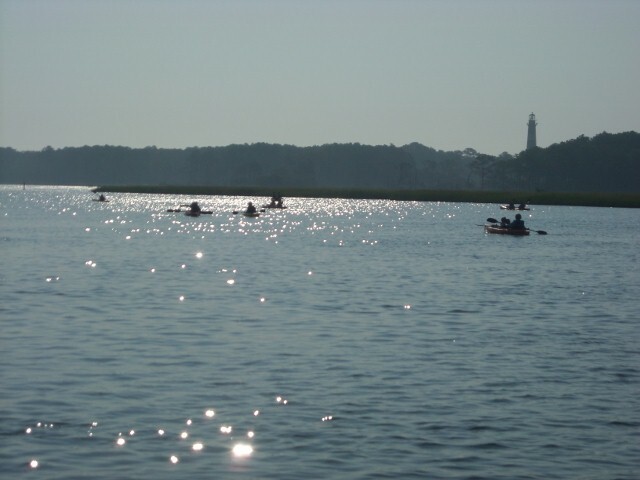 Call Snug Harbor Marina for kayak rentals 757-336-6176. 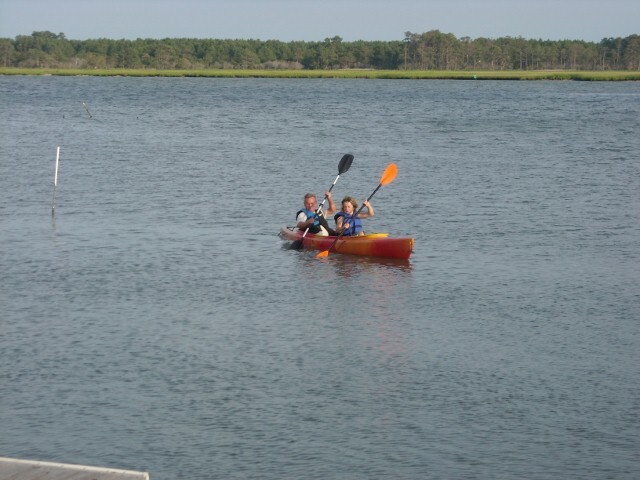 Snug Harbor Marina has the biggest selection of premium and brand name kayaks on Chincoteague Island. In our selection we have single kayaks as well as doubles and we have sit in kayaks as well as the sit on top models. In our selection you will also find Old Town canoes. We can help you decide which option would be the most convenient for you and your family and friends. 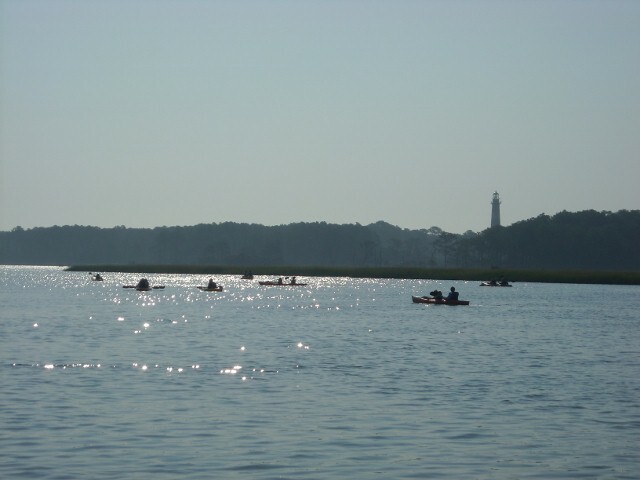 Renting kayaks is a great way to take your time, relax and simply kayak at your own pace around the island. It's perfect for couples and families with kids. If you don't feel comfortable to go on your own we would be happy to take you and your kids for a guided Kayak Eco Tour. Snug Harbor tours are planned to give our customers an educational, exciting and the most grand island adventure. It's a fun, family tour. 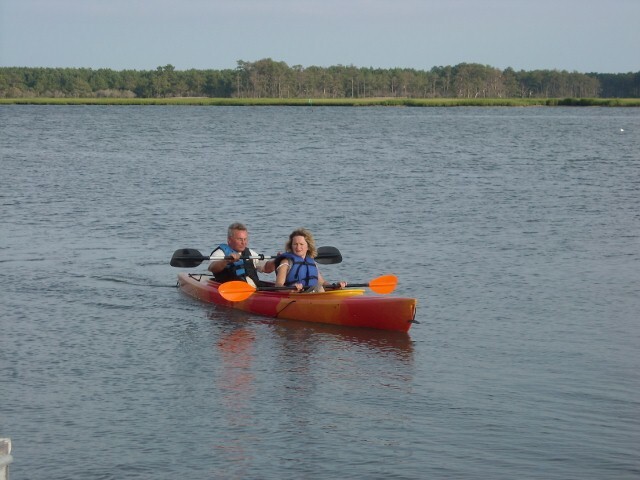 We have the best and most experienced kayak instructors who will make sure you are comfortable and have one of the best Chincoteague experiences of your life. Don't worry if you have never done it before, you don't have to have any previous paddling experience. 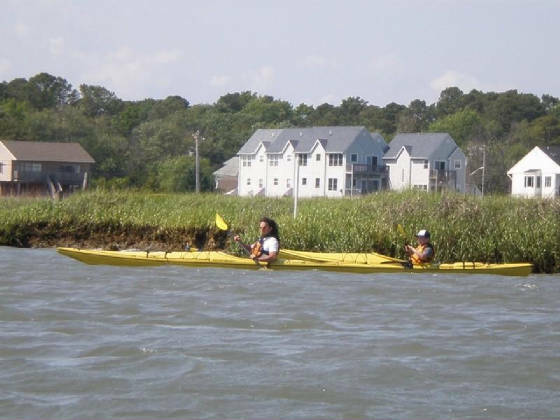 Our instructors will show you the best ways to navigate the waterways around Chincoteague island. With our help you can learn basic paddling skills, kayaking techniques and enjoy kayaking with a group of people under the eye of an experienced guide. 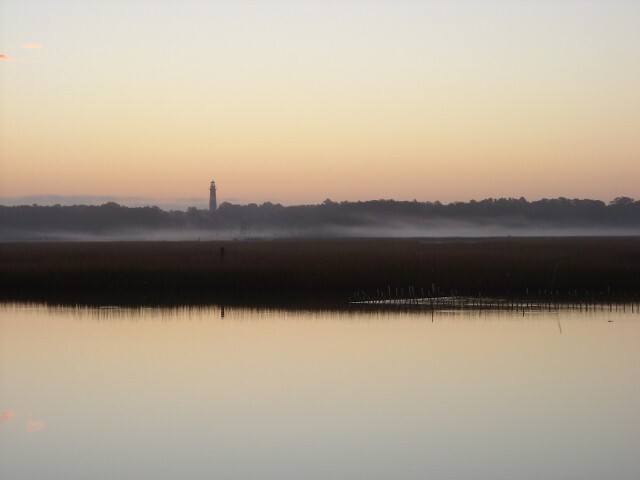 Our instructors will take you to the pristine areas of Assateague and Chincoteague and he will introduce you to the amazing beauty of the Refuge. 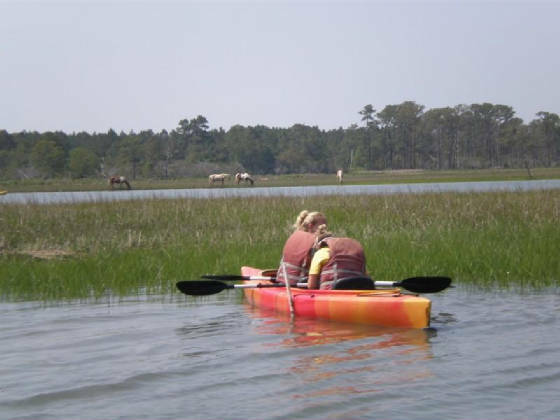 You will kayak into peaceful creeks and marshlands of Chincoteague island to discover many beautiful and remote places to find hidden treasures of nature. 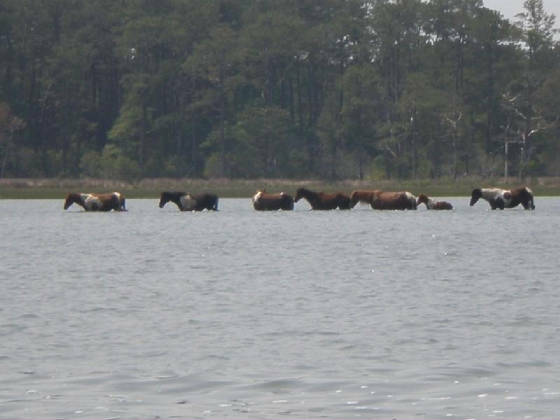 We would show you the best locations where you can see the wild ponies, many types of wild birds. 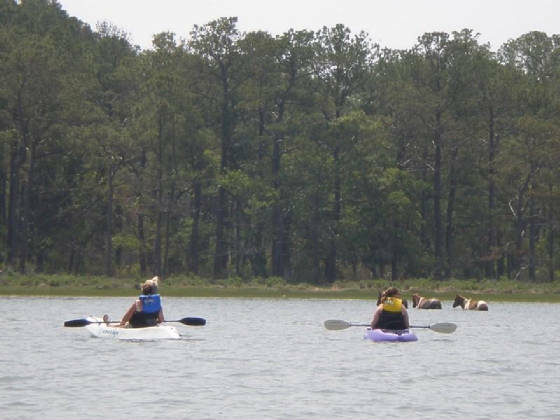 On many of the tours around the islands you may even see the graceful dolphins playing around the shorelines of Assateague. We also organize private, exclusive Kayak Eco Tours as well. We can arrange an exclusive kayak tour for your family, as well as for school field trips, birdwatchers, horse lovers or a group of friends. We do small or large group tours. 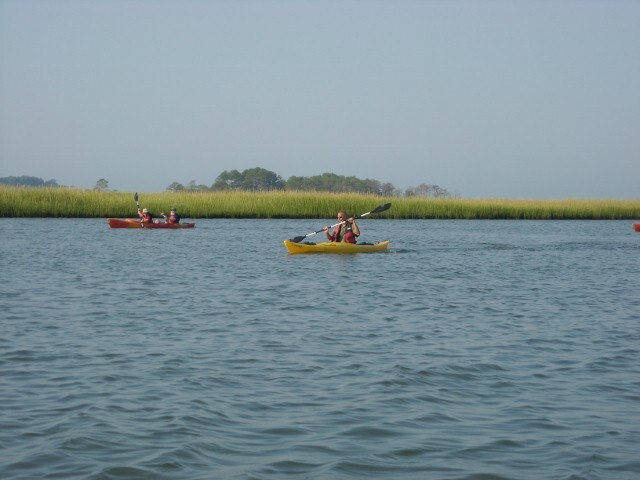 Don't hesitate to make a kayaking adventure with Snug Harbor a part of your island vacation, you won't regret! 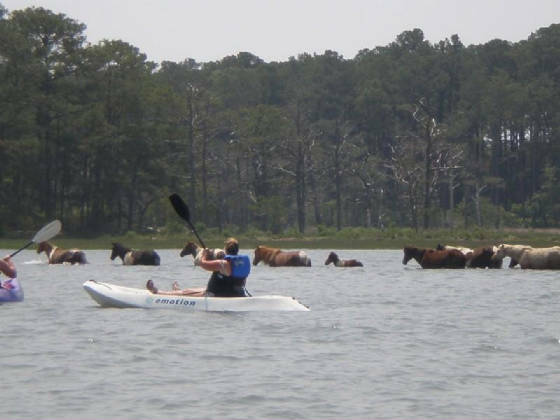 Nothing will give you a better opportunity to relax and see the wildlife and the beauty of Chincoteague and Assateague Island. With our experience and knowledge your kayaking experience with Snug Harbor will be exciting, very informative and definitely unforgettable. Our goal is to guide you through the outdoors in a fun and respectful manner. Snug Harbor Marina offers tours for large groups and small ones. If you are alone or maybe just a couple and you want to enjoy the great outdoors at your own pace we can book a special exclusive private eco tour and you can have all the wildlife to yourself. The best time to see the ponies would be the early tour! Call 757-336-6176 for bookings! .....come and see the ponies up close !